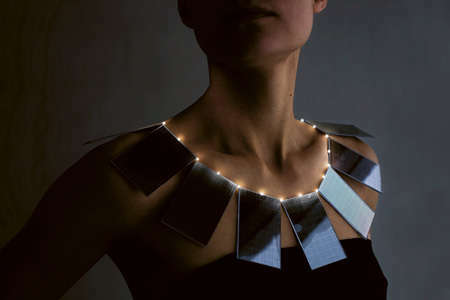 Solar powered innovations are emerging at such a rapid rate, it's no surprise solar fashions are starting to hit the market. 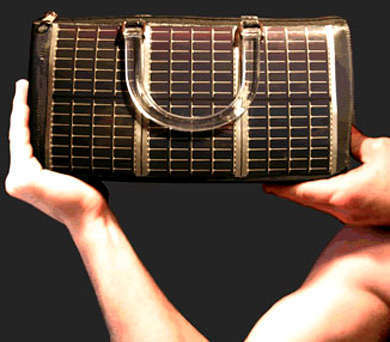 When we talk about solar fashions, we're including everything from accessories like solar panel handbags to clothes like solar-powered lingerie. A click through the slideshow below will reveal some of the most unique solar fashion featured on Trend Hunter, offering you a glimpse into the future. Implications - With the eco movement attracting new followers at an unprecedented rate, it would be wise for companies and businesses alter their products and services to complement the market's new demands. Eco-conscious consumers will be more likely to invest in a product that boasts planet preserving properties suitable for their new lifestyles. Companies will certainly benefit by making the switch as the clientele is one that is continuously experiencing growth. Solar Panels on Clothing and Accessories?